Perhaps you have not stayed in a prison yet. But did you know that it is now possible to experience how it feels in Latvia, in the Karosta Prison. This must be a truly unique experience. This former KGB prison, built about 1900 and until 1997, has been previously described as hell on Earth. Nobody knows exactly what went down behind the walls of the former Soviet penitentiary but the cast of the US Television Show “Ghosthunters International” called it the site with the most paranormal activity in the world. 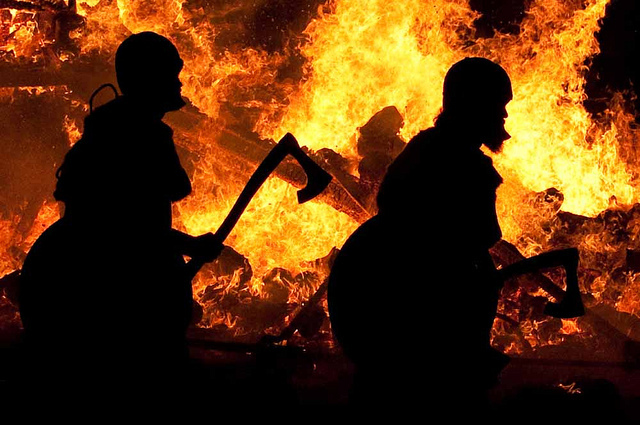 From rolling cheese in Gloucestershire to wife-carrying in Scandinavia, the world is full of unusual, colorful and totally weird festivals. Today, to keep the skin glowing women simply need some cream or, in the worst case, a face mask cream and some cucumbers. Back then you had to suffer to look good. Women wore all manner of strange masks prepared from crushed bugs to human urine in an attempt to perfect their skin. This is a list of some of the most weird beauty tips and treatments from history. Seattle’s gum wall is the place for any unwanted chewing gum. Spectacular Forest with…. Technological Trees! Gardens by the Bay, Singapore. The latest and most distinct addition to the Singapore skyline, Gardens by the Bay look like they belong on another planet with their wiry canopies and greenery where the bark should be, but the man-made “supertrees” that sit against the backdrop of Singapore’s central business district mimic the qualities of trees here on earth. Everything in life is cyclical, and sometimes it happens that the death of one is the birth of something new. There are a lot of shipwrecks in Sydney’s Homebush Bay, near the Olympic village, but none quite like the SS Ayrfield, also known as “The Floating Forest” for the lush mangrove vegetation that now covers its rusty hull. So it was with the British steamship SS Ayrfield, which for many years was abandoned off the coast of the Olympic Village in Sydney, and its rusty body during this time has become a true mangroves. The ship was built in Britain in 1911 and was used by the Australian government for the U.S. troops stationed in the Pacific during World War II. It was sold in 1950 and was used to transport coal from Newcastle to Sydney, while in 1972 it was decided not to send it to Sydney Homebush Bay, where it remains to this day. Ilha de Queimada Grande is an uninhabited 430,000-square-metre (110-acre) mysterious island off the shore of Brazil, almost 93 miles away from São Paulo downtown. It’s probably a place where you would love to spend an exotic vacation. But… If you were to set foot on the island, you would always be no more than 3 feet away from your death. Just as oil and water don’t mix, so do springs and deserts. But Crescent Spring is an exception. About 6 kilometers (3.73 miles) south of Dunhuang city, and surrounded by the Echoing-Sand Mountain, Crescent Spring can be called a natural wonder in the Gobi Desert. Some say it reminds them of the eye of a beautiful woman, lucid, beautiful and amorous. Some say it looks like the mysterious, gentle and seductive lips of a pretty woman, or a slice of lush, sweet and crystal cantaloupe. Actually, it resembles a crescent fallen down into this desert. Having been lying among these sand dunes for thousands of years, although given many surprise attacks by sandstorms, Crescent Spring still gurgles clear, and still remains worthy as the first spring in the desert. 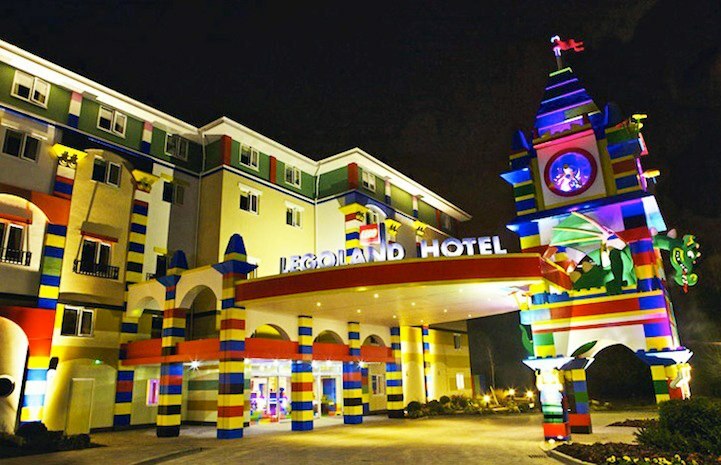 Legoland Hotel: The Unusual Hotel Made of Lego! The first Legoland Hotel in the Americas opened this month in Carlsbad, California (there are two more in the world, one in Windsor, England in the other in Billund, Denmark), north of San Diego and promice to turn a day you’ll always remember into a night you’ll never forget! Most Unusual Streets and Roads in the World. 1. World’s Shortest Street: Ebenezer Place – Scotland.